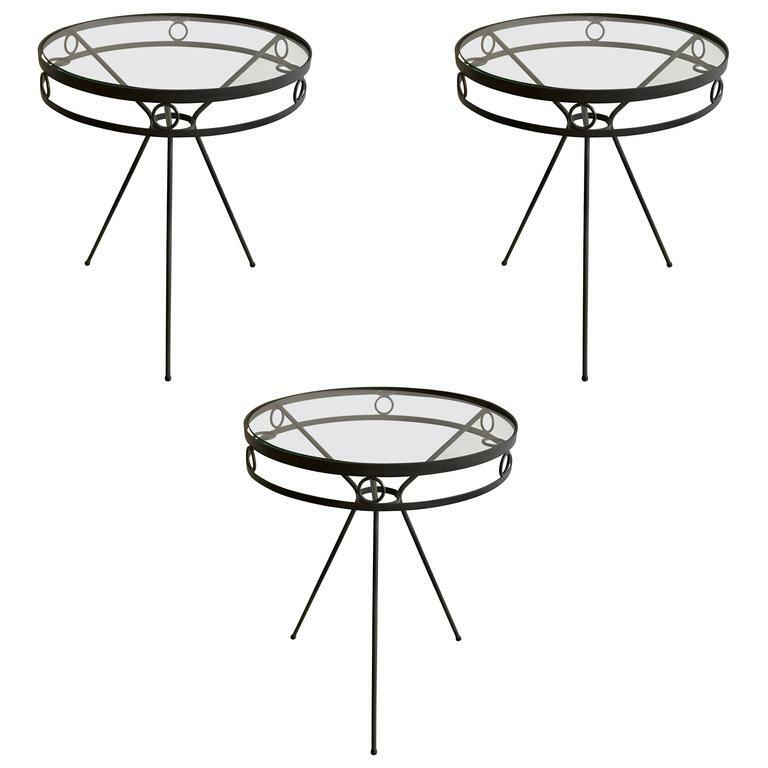 Very cool 1950s metal side tables or cafe tables with tripod legs and round ring accents. Freshly painted anodized bronze. Indoor/ outdoor. Minor surface scratches on glass tops. 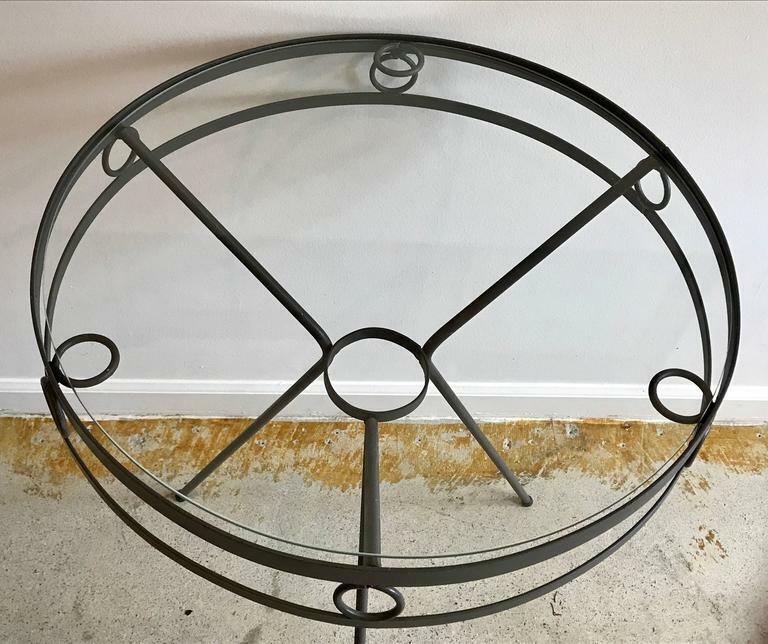 Very cool Mid-Century Modern two-tier round side or coffee table that expands if desired. Chrome frame with smoked glass, on castors. Very similar to the designs of Milo Baughman. Awesome Mid-Century Modern period piece. 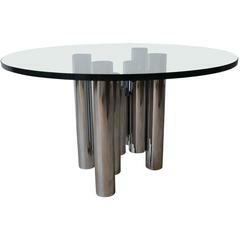 Chromed tubular base with a round 36 inch diameter glass top. The glass is a substantial .75 inches thick. 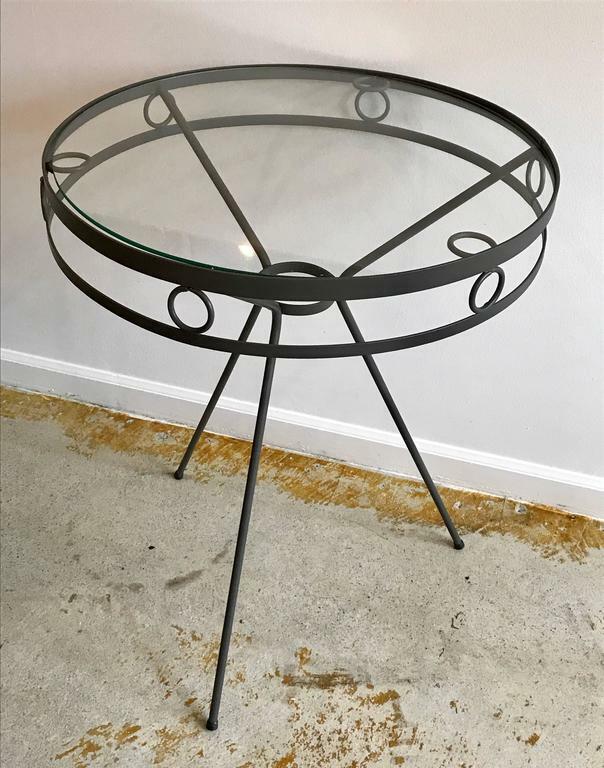 1950s, Italian Mid-Century modern wicker table, dining table and perfect for outdoor garden or patio. Beautiful table with black glass top. Perfect for using in the sofa.